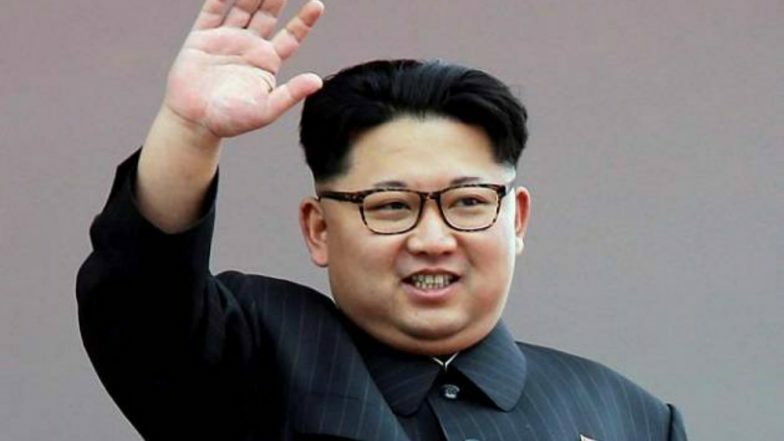 Seoul, April 1: North Korean leader Kim Jong-un may be invited to a special South Korea-Association of Southeast Asian Nations leaders' (Asean) summit set to take place in Busan in November, the media reported on Monday. The summit is scheduled to take place from November 25-26 in South Korean port city of Busan to commemorate 30 years of Seoul's ties with the 10 Asean member countries, according to Yonhap news agency. "The country (South Korea) will begin consultations with Asean countries based on such proposal and depending on the outcome of their consultations, the country may invite Chairman Kim Jong-un," a presidential office official told reporters on condition of anonymity. The official also said some Asean countries had already proposed an invitation to the North Korean leader. Donald Trump Sends Letter to Kim Jong-un to Inform Ongoing Denuclearization Talks Between Washington and Pyongyang. South Korean President Moon Jae-in highlighted the importance of the Asean countries in North Korea's denuclearization process and emphasized that all 10 of the bloc's member states maintain diplomatic relations with Pyongyang. Asean is also at the centre of Moon's New Southern Policy, which seeks to boost economic and diplomatic ties with the bloc as well as India, the agency said. The Asean countries already make up South Korea's second-largest trade partner, with bilateral trade between the country and the 10 bloc countries reaching a record high of $160 billion in 2018. Seoul seeks to increase the two-way trade with Asean to $200 billion by 2020. The Busan summit will be followed by a meeting on November 27 between the five countries located around the Mekong River - Thailand, Vietnam, Myanmar, Laos and Cambodia, said Press Secretary Yoon Do-han. Moon and Kim held three bilateral summits last year, which proved to be important in convincing Kim to meet US President Donald Trump in Singapore last year and in February in Vietnam. The Hanoi summit ended abruptly without an expected agreement and highlighted the far-reaching differences between the US and North Korea in their approach to the denuclearization process and sanctions relief. The disagreement between Kim and Trump revolved around the dismantling process of a number of assets belonging to the North Korean nuclear arsenal and the volume of international sanctions currently weighing on Pyongyang that the US would have to lift in exchange.